This hand crocheted baby rattle makes a wonderful gift for babies. 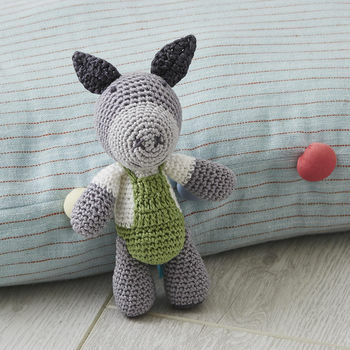 Beautifully made from 100% top quality cotton, this little donkey is a real heirloom toy. 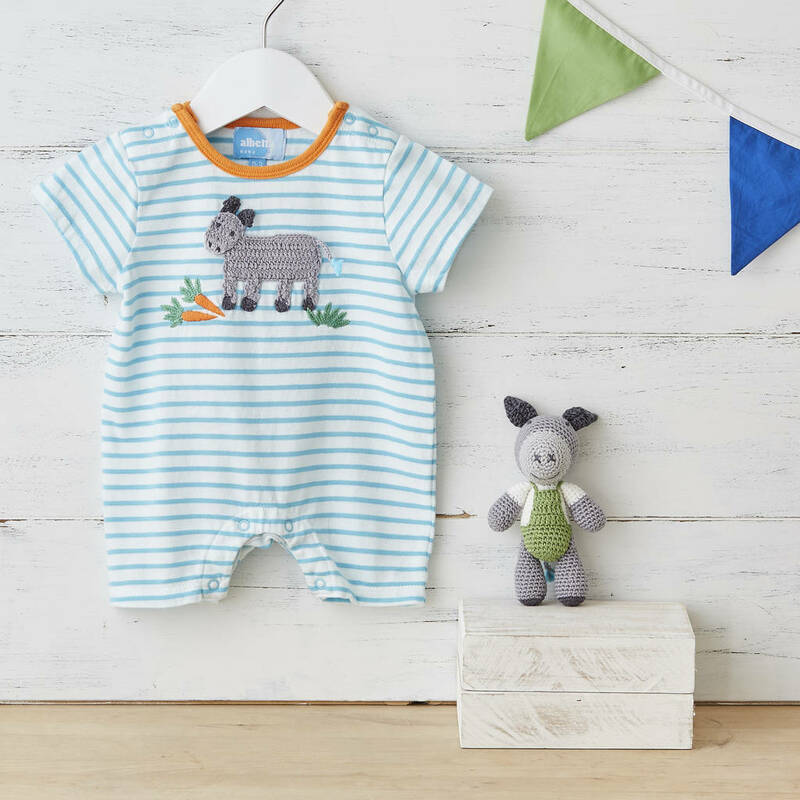 Those little dungarees are just too cute for words! 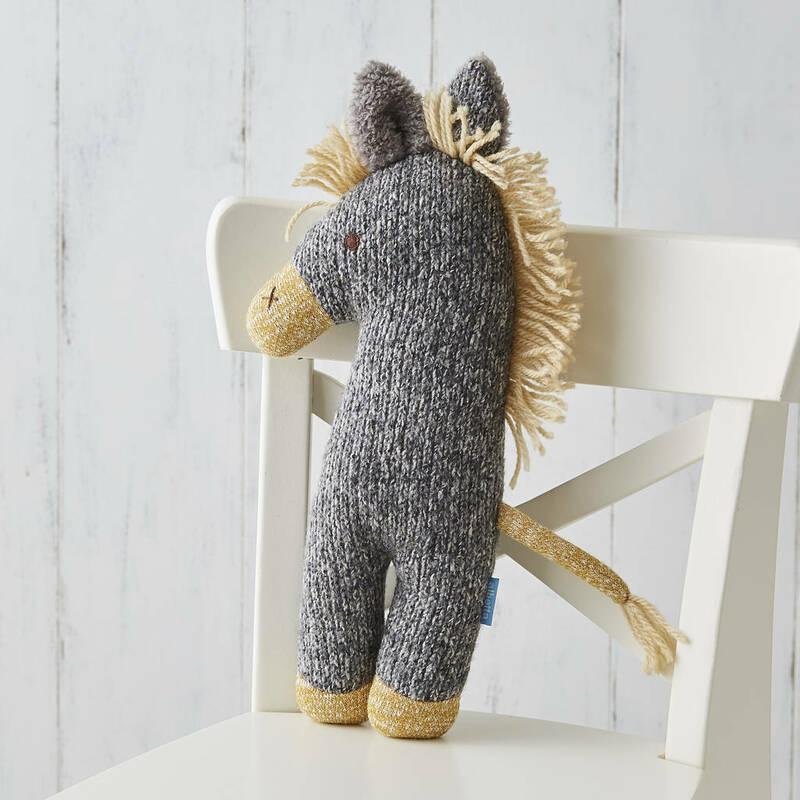 It coordinates with other items from our range, including a soft knit donkey toy for older children. 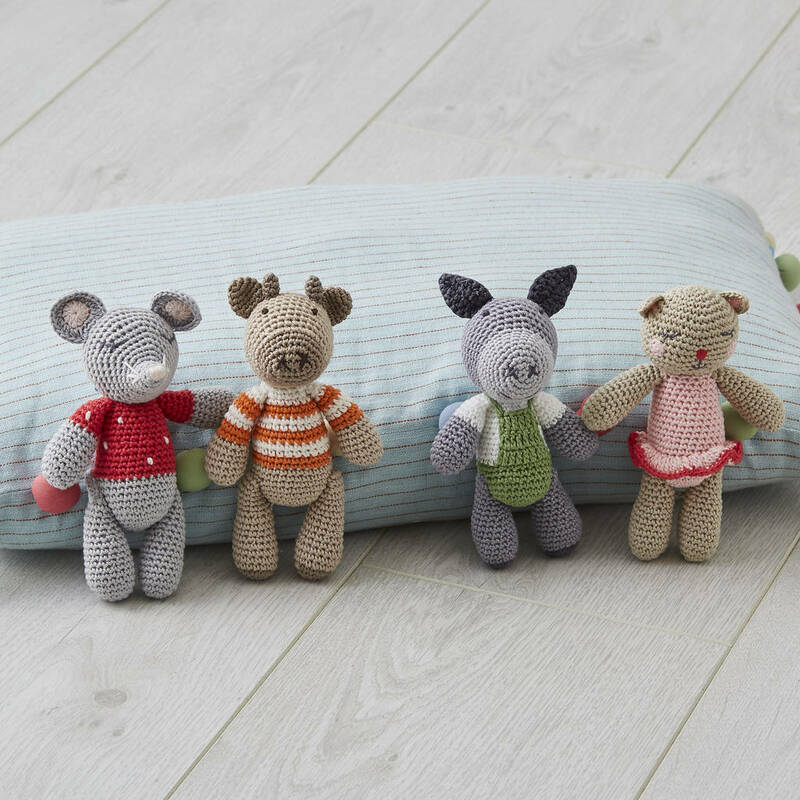 As with all of our toys, it's safety tested to the highest standards and is suitable from birth. 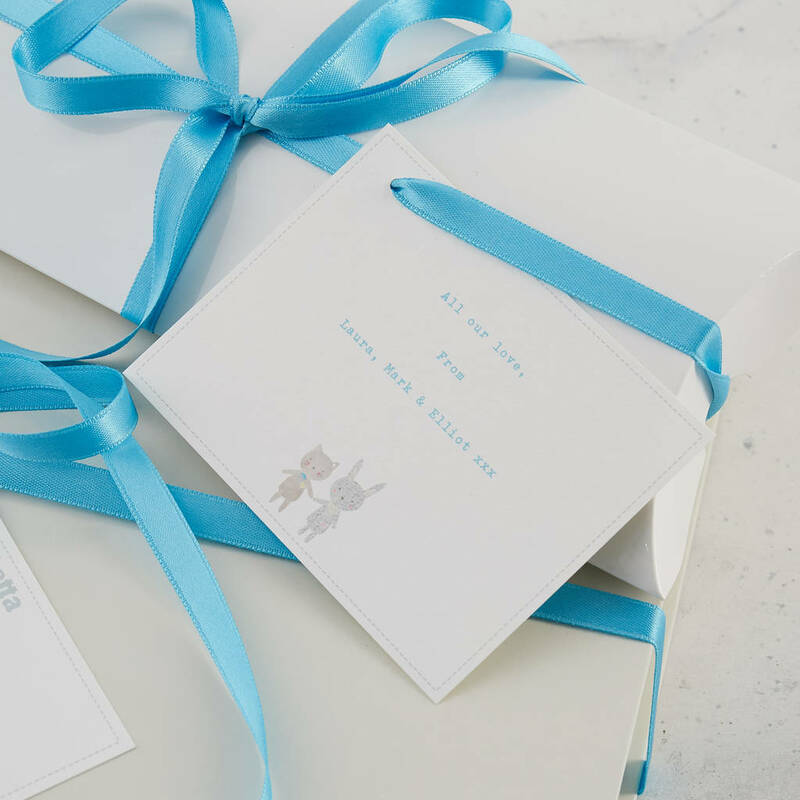 We send all our orders out in a raffia envelope fastened with a sticker. 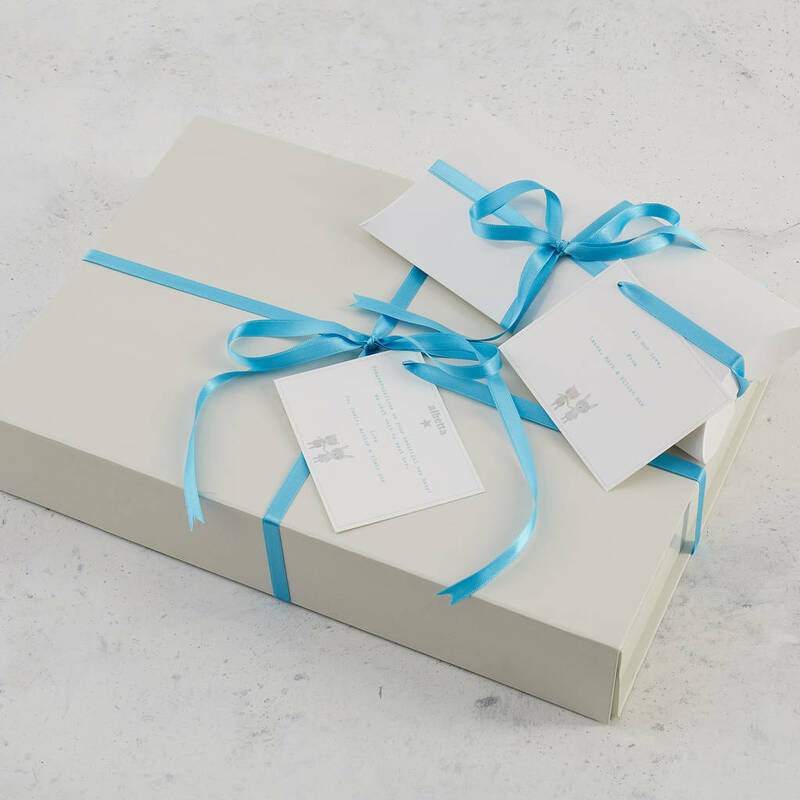 If you would like your order gift wrapped, we offer gift wrapping in a luxury matt white magnetic gift box, tied with a satin ribbon with your gift message printed on a high quality card gift tag. 100% cotton with 100% polyester filling. This product is dispatched to you by Albetta.